I can highly recommend 3D Electrical Supplies. They are friendly and professional and their prices can’t be beaten! Great company to deal with, very helpful staff. First class service and price recieved everytime ! Never let me down finding any electrical product I need. Thank you 3D Electrical. Very helpful staff. 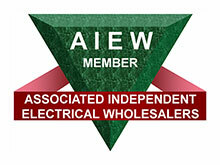 I now use 3D electrical for all my electrical goods! They are all lovely lads, who always go out of there way to help you.